Friday, August 30, 2018 – If NAFTA is Repealed, What About Interest Rates and London’s Housing Market? All things being equal, historically this has been a fairly easy question to answer: When the economy is doing well expect rates to rise as the Bank of Canada (BoC) attempts to keep a lid on inflation. Alternatively, when the economy is doing poorly expect mortgage rates to drop, as the BoC tries to create incentives for investment in order to jump-start economic growth. All things being equal, one would expect Canada to undergo further rounds of interest-rate hikes. Historically there is, roughly, a 2-year lag between U.S. economic boom and Canada’s ensuing economic upsurge. Thanks in large part to President Trump’s tax cuts the U.S. has been booming for over a year now, with Canada’s economic engine revving up right behind it. But All is Not Equal. A U.S. Without Free Trade? 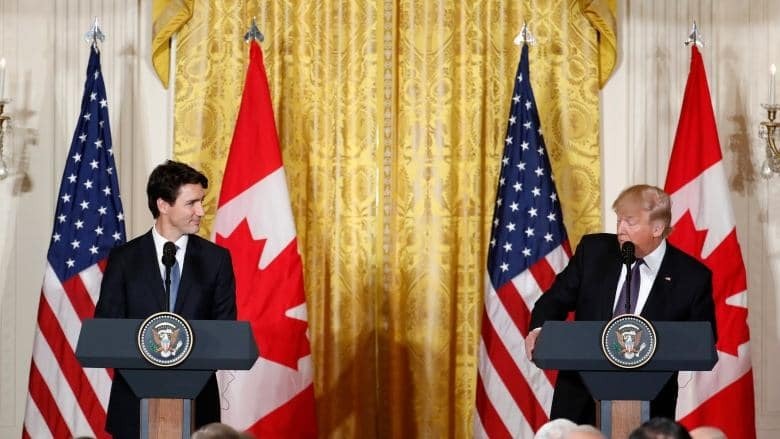 Many in Canada were shocked this week by the announcement from United States’ (U.S.) President Donald Trump that if Canada did not come to the table with a more agreeable demeanor the U.S. would leave NAFTA and enter into a bi-lateral Free Trade Agreement with Mexico. Indeed, after 30 years Canada and its citizens have come to take Free Trade with the U.S. as a given. 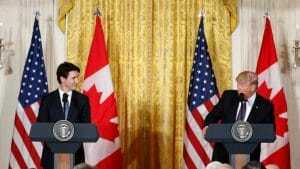 Lets leave aside the legislative arguments that President Trump does not yet have the authority to unilaterally pull out of NAFTA and leave Canada twisting in the wind. Lets also leave aside political arguments over how we got here. The point is that we are here. The point is that Canada finds itself in a situation which 2 years, 4 years, 10 years, 20 years ago would have seemed unthinkable. Democrat or Republican, for the past, at minimum, 30 years Free Trade has been U.S. Dogma, regardless of which which Political Party occupied the White House. Globally and especially with its neighbors the U.S. has been the leader on Free Trade since, arguably, the end of World War II, when the newly annointed World Superpower sought to shape the globe in its economic image. With minor variations one way or another, nearly all serious commentators have held this as a constant. In any predictive study researchers attempt to hold as many variables constant as possible and then look for changes in order to identify cause and effect. Indeed, Constants enable us to identify the source of change. But all is not constant. Since we can no longer keep Free Trade with the U.S. as a constant when thinking about Mortgage Rates, a quick thought experiment is all that is left when attempting to predict the future. Lets say that President Trump does unilaterally repeal NAFTA (he can’t, but lets say he can). Lets also forget the retaliatory measures that Canada would surely be forced to undertake, and the domestic political infighting that would undoubtedly ensue between East and West over how those measures would affect each Province’s industries (read oil). Instead, lets look at immediate, almost certain effects of a NAFTA repeal. Ontario’s Manufacturing sector would surely feel immediate, unprecedented pain. This would trickle down to nearly all other industries. The economic impact on manufacturing base of Ontario would be unparalleled in modern Canadian history. The U.S. would feel just as much if not more absolute economic pain from the real of NAFTA (although probably not relative). With that said, the sinking ship beside you does not fix the gaping hole in your canoe. If NAFTA is repealed the immediate economic pain to Canada would undoubtedly prevent the BoC from even thinking about engaging in another round of interest rate hikes. Indeed, if the Canadian economy slumps as many, if not most, economists are predicting, we might even see a reversal of the latest trend and the BoC could lower rates in an attempt to help the economy rebound and signal to investors that even without Free Trade with the U.S. there is still money to be made in Canada. What about London’s Housing Market? Leaving aside questions about who will be able to afford a house and who will not should NAFTA be repealed (and these are certainly relevant questions), all things being equal, were mortgage rates to drop London’s market would continue its near-meteoric rise. Recently named Canada’s Hottest Housing Market, an influx of inexpensive money would certainly only help to fuel the competition over London’s housing supply, further increasing prices. Full Circle – Variable or 5 Year Fixed Rate? The honest answer is we really don’t know. Asked three years ago and 9 out of 10 economists would have said that NAFTA would not be repealed in our lifetime. If anything the U.S. and Canada were expected to integrate further in the coming decades. My instincts and experience tell me that NAFTA will not be repealed. They tell me that cooler heads will prevail. Perhaps the Republican Congress, fearful of the impending midterm elections and the President’s growing legal troubles will put enough pressure on President Trump to stop him from doing anything too rash in the near future. However, President Trump was unpredictable when he came into office nearly 2 years ago. This was before he became mired in political and legal scandals that would have surely led to the downfall of any of his predecessors. The President is currently a wounded animal, and you cannot predict the behavior of wounded animals – not to mention those that were unpredictable before they were wounded. Canada and the U.S. have undergone many trade spats in the past (softwood lumber, etc) and cooler heads have always prevailed – All things being equal, the things that unite us have been greater than the things that divide us.